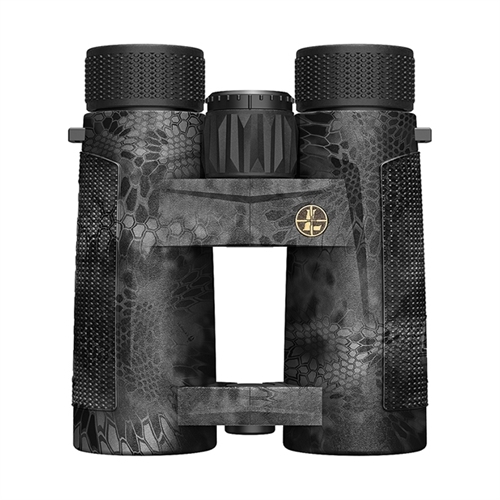 The BX-4 Pro Guide HD binoculars from Leupold will allow you glass longer during early predawn hours to well past dusk. With an open bridge design and a durable, lightweight aluminum body, the BX-4 Pro Guide HD's provide all day viewing comfort. These binoculars are built around Leupold's proprietary Twilight Max Light Management System. The redesigned body armor has a texture that allows for a sure grip in all conditions, with or without gloves. Completely waterproof and backed by Leupold's Full Lifetime Guarantee, the BX-4 Pro Guide HD's are welcomed addition for all who want to see more outdoors. Deliver a perfectly round exit pupil with virtually no edge distortion and a crisp, clear image. Ensure maximum brightness for clarity, contrast, and color fidelity. High-definition, calcium-flouride lenses ensure incredible clarity at all magnification levels.